Looking for a true gem of a vacation and a memorable getaway off the beaten path? Get a real slice of New England heaven with a visit to a secluded part of the coast that still exudes a real “Old Maine” feeling of yesteryear when you book a stay at the Pentagöet Inn & Restaurant in Castine, the heart of the Blue Hill peninsula! Just pack your bags and leave the planning to us with this comprehensive guide of some truly wonderful and sometimes unexpected treasures! From relaxing excursions to exciting adventures, there’s a perfect summer activity for everyone in this unspoiled section of Mid-Coast Maine. Explore the town on two wheels; get up close to historic Dice Head Light, pedal down to the harbor and marvel at the historic schooners that grace our waters daily, or cycle past the house of famed author, Robert Lowell on our beautiful town square. Complimentary bikes are available for all guests at the Pentagöet Inn. You can’t really see what makes this area so truly special if you don’t get sail, motor, paddle, float, or swim. The maritime history of this area has shaped it into what it is today and the only way to experience much of the natural beauty of Maine is from the water. There are so many ways to explore by vessel, and we recommend them all! Isle au Haut Mail Boat: Try to spot the iconic puffins on the way to Isle Au Haut, the quietest and least crowded part of Acadia. Castine Kayak Adventures: Paddle the peninsula with expertly led guided tours and seasonal bioluminescent night paddles! Old Quarry Ocean Adventures: For the more adventuresome paddler, kayak the Stonington archipelago, Isle Au Haut, and beyond. Bucks Harbor Marina: If you have your own boat or a license to rent one, this is a must! Located a short drive from Castine, Bucks Harbor is one of the most beautiful marinas and unspoiled natural panoramas on the state’s coast. Smith Cove: Take a dip in this nearby swimming hole, one of the warmest spots for swimming on the mid-coast Maine. A local’s secret, but we’ll tell you how to get there! If you’re a boat lover, be sure to head over to Brooklin and see the craftspeople at work at the Wooden Boat School and the Brooklin Boat Yard! Peter’s Brook: If you like a short stroll with a waterfall payoff, this is it! Holbrook Island Sanctuary: A gorgeous area that offers abundant wildlife viewing opportunities. Crockett Cove Woods: If you want to get up close with the dense Maine forest, this is it! 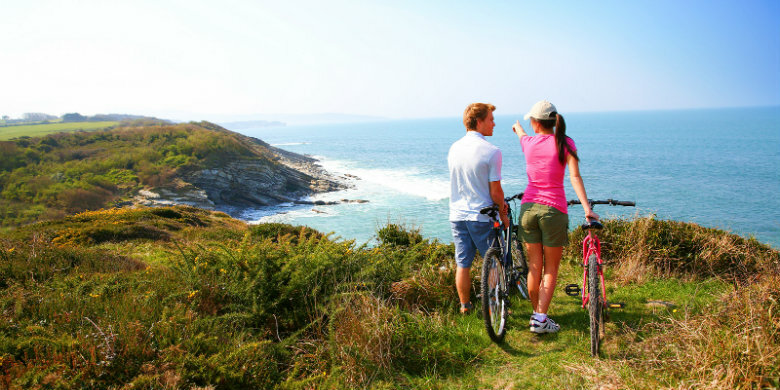 While you’re out exploring, pack a picnic lunch with all the essentials from Windmill Hill Gardens and Market and enjoy it with some fresh air and beautiful coastal vistas. Pull off the side of the road near the Pumpkin Island Lighthouse to enjoy a picture perfect backdrop for your meal or head over to Horton Emerson Park in Blue Hill. You might have this idyllic place all to yourself and if you play your tides right, you will be able to picnic on a sandy beach. Designed by Willie Park, Jr. in 1922, the Castine Golf Club’s 9-hole par 35 course is a unique and fun experience for our golfing enthusiasts. History, art, literature and music abound in Castine and around the Blue Hill Peninsula. From the rich culture of the native tribes and the battles of the Revolutionary War, to the pivotal role Castine played as a U.S. Customs House, the history of the Blue Hill Peninsula is truly remarkable. A short walk from Pentagöet Inn will take you to the steps of the Castine Historical Society on the town common featuring exhibits, speakers, and an eager staff. Step into history with a stroll over to Fort Madison State Park right on the harbor in the heart of Castine and an important part of U.S. history. A recommended read before your trip is The Fort by Bernard Cornwell. Learn all about the Penobscot Expedition of 1779 and the worst naval defeat of the Revolutionary War. History buffs will be richly rewarded! Stonington boasts Opera House Arts on the National Register of Historic Places and delivers excellent productions, concerts and films all summer long. Kneisel Hall Chamber Music School & Festival brings together world class musicians to put on beautiful events through the season. If you’re visiting Pentagöet Inn during the week, be sure to join us for Jazz on the Porch Tuesdays! The Night and Day Trio performs from 5-8pm and there are specialty cocktails, hors d’oeuvres and a special menu available. A favorite of locals and visitors alike. Get a real flavor of Maine’s coast from freshly caught seafood to locally roasted coffee to handmade chocolates and farm to table meals. You won’t find any chain stores or big corporations; out on the peninsula, a mom and pop shop is actually owned by mom and pop and you will see them behind the counter. 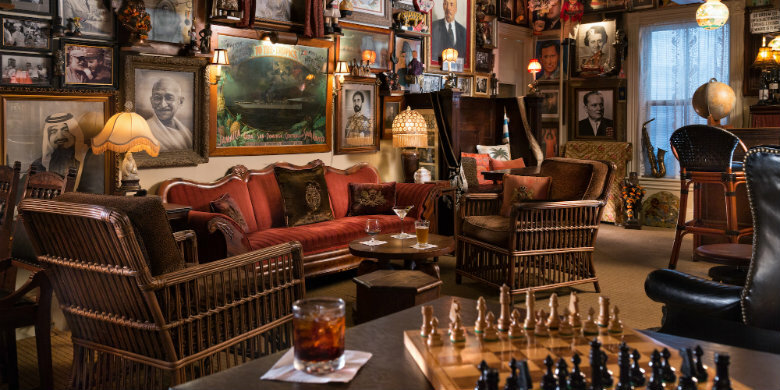 Below are just a few of our favorite places to eat, drink, and browse unique merchandise. Aragosta: Enjoy lunch out on the deck overlooking Goose Cove while exploring Stonington and marvel at the busiest lobster port in Maine! 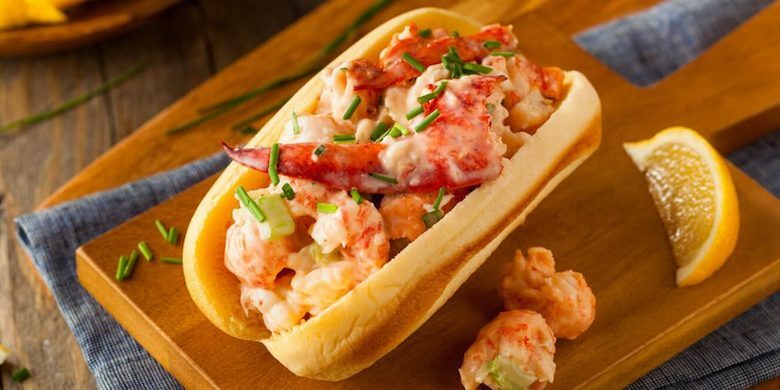 Bagaduce Lunch: Our favorite local lunch spot for a tremendous lobster roll right on the water and an award winning menu that hasn’t changed since 1946! El El Frijoles: A Mexican gem serving lunch and dinner featuring fresh local ingredients. And who doesn’t love a good Maine-centric play on words! Arborvine: Perfect for a special occasion. This is our 2nd favorite pick for fine dining! Located in the picturesque seaside village of Blue Hill, it’s worth the 25 minute drive from the Inn. Black Dinah Chocolatiers: For unforgettable chocolates – and wonderful gifts – be sure to stop here! 44 North Coffee: Start your day or refuel with a fantastic cup of house roasted coffee and lovely views. The Sow’s Ear Winery: The definition of an off-the-beaten-path experience. Fruit wines and ciders in a one of a kind tasting room. Baron Pub and Wine Bar: But make sure stop in for a pre-dinner cocktail or an end of the night drink and soak up the rich, unique atmosphere. Pentagöet Inn Restaurant: Enjoy unforgettable meals in the on-site dining room made from fresh, locally sourced ingredients. Mae Blue Hill is a lifestyle shop in nearby Blue Hill and is a worthwhile stop while out touring the peninsula. Marlinspike Chandlery in Stonington captures the beauty of maritime Maine unrivaled by others. Bird Song Gift Shop: On-site at the Pentagöet Inn featuring local artists, vintage inspired gift and Pentagöet Inn merchandise. All of this adventure begins and ends with a stay at Pentagöet Inn & Restaurant. We are here to be your personal concierge of our beloved area, and to to enrich your experience in every way possible. 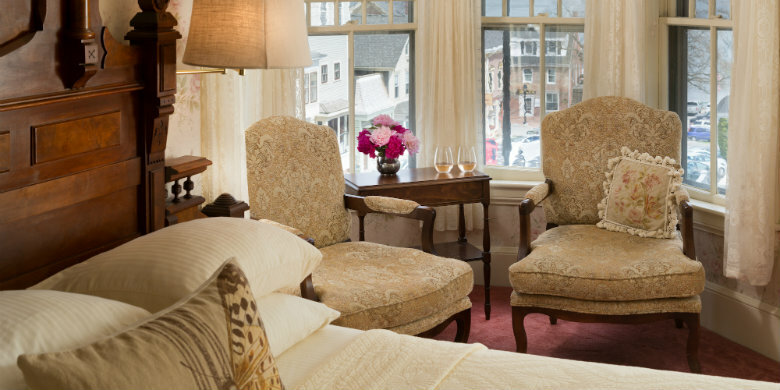 Be in the heart of it all and enjoy real coastal Maine charm and comfort. Browse our rooms and book your summer getaway today!